Music has taken Matt to the other side of the world and back. 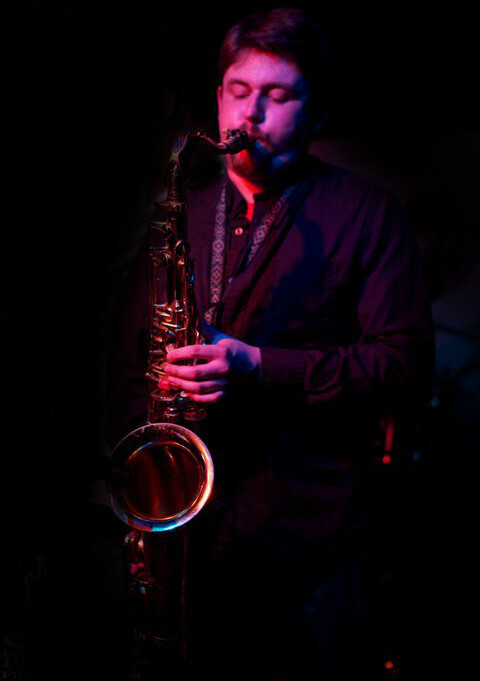 Most of the time though, he can be seen performing throughout the New York and New Jersey area, offering his unique musical voice on the saxophone to a variety of musical settings; from classical and jazz, to rock, funk, hip hop and just about everything in between. Matt has performed with a number of local artists and bands over the past few years including, The Defending Champions, Old Wives, King Django, 3rd Valve Productions (rock group an jazz group), Hyphen One & Daylow, Stephanie White and the NJ Philthharmonic, The Miasmics, Quimby Mountain Band, and Obi Fernandez (Of West Bound Train) . In 2011-2012, Matt was fortunate to collaborate with the group Old Wives which is fronted by Jason Gleason (formally of the group Further Seems Forever) , on their full-length album, Tidal Tales. His contributions included, arranging all of the horn section parts and composing new horn material for a number of tracks. In the summer of 2012, two of those tracks where featured on the soundtrack for Nitro Circus -The Movie. Also, in early spring of that same year, Matt was contacted by New Jersey slide-guitar legend, Mike Esposito, about joining him to contribute to a video-project in the works by Paul Czekaj. The project, My Home NJ Part II, a follow up to My Home NJ, is the second video in a series very successful YouTube videos that celebrate locations and landmarks throughout the state of New Jersey. As of November, 2012, My Home NJ, is approaching half a million views, and My Home NJ Part II has had over 130,000 views. Matt has performed at venues including, The Stone Pony, Kenny’s Castaways, The Bitter End, The Knitting Factory, Mexicali Blues, The Blue Note, and Webster Hall. Matt has been fortunate to study with some very amazing teachers. He credits them with helping to inspire his deep love of music. In addition to inspiring a love of music, his mentors have helped him to gain a great appreciation for the art of teaching in itself.